August 1863 finds two con artists traveling with their embezzled cash to build their dream ranch in Washington Territory. But some Cheyenne Indians have different plans for those white settlers heading west, plans that cause the story of our con artists to become three stories. 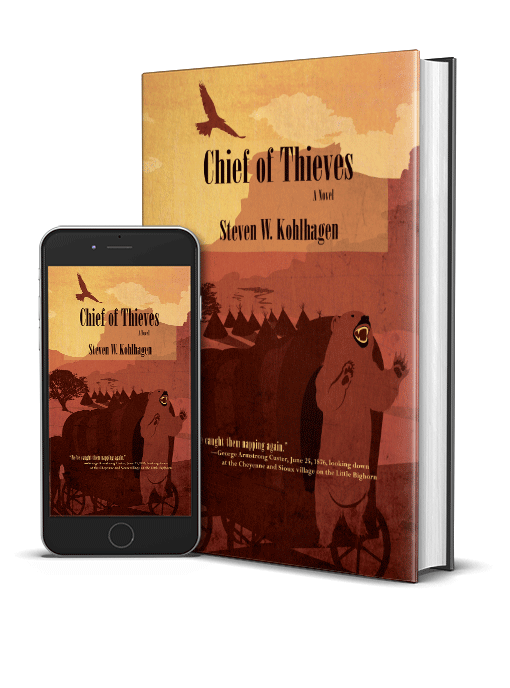 Chief of Thieves takes the reader into the disasters of early Western ranch life and the births of lawless Wyoming towns; inside Cheyenne villages and tipis, where this hunting civilization of people, called “the greatest horsemen and cavalry the world ever saw,” lived, raided, and were attacked and massacred as they slept; and into the relentlessly driven lives, internal conflicts, and the battles of George Armstrong Custer and his Seventh Cavalry.